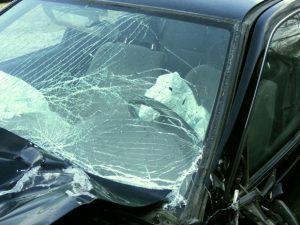 Ultimately, the state’s highest court awarded a $100,000 settlement in a wrongful death car accident lawsuit to decedent’s husband, who had abandoned both his wife and child shortly after the child was born and who owed a total of $72,000 in child support to his four other unrelated children. That $100,000 settlement is to be garnished for the $72,000 in support, but plaintiff will still receive payment on the rest. Though a state law in Tennessee precludes spouses who abandon (by legal standards) their partners from collecting wrongful death damages for a partner’s death, that law was not in place at the time decedent in this case died. According to Tennessee Supreme Court records, plaintiff and decedent married in 2008 and had a child together in 2009. One month after the child was born, plaintiff left his wife and child, did not return to the marital home and did not pay spousal or child support. Less than two years later, decedent was killed in a car accident that involved a negligent 17-year-old driver. Soon thereafter, custody of the young child was granted to his maternal grandmother. She also qualified as the administrator of her daughter’s estate. A month later, plaintiff filed a wrongful death lawsuit against the negligent driver and her parents, alleging her negligence caused his wife’s wrongful death. Defendants denied liability. About a year later, decedent’s mother (who still had custody of the child) sought to intervene, dismiss plaintiff’s wrongful death lawsuit and substitute herself as the new plaintiff. She noted she had been appointed the child’;s guardian and should be substituted as plaintiff. While acknowledging plaintiff was decedent’s spouse, she argued he should not be allowed to pursue a wrongful death lawsuit in his individual capacity and recovering proceeds because he had never paid child support to decedent’s child, nor for his four other children. She argued he should be disqualified on the basis of abandonment. While that motion was pending, the child was adopted by decedent’s brother and his wife. That order terminated plaintiff’s paternal rights, citing the cause as abandonment. Plaintiff filed a motion to dismiss his wife’s mother from the lawsuit for failure to prosecute and allow him to proceed as the sole plaintiff. Soon thereafter, the child’s uncle/ adopted father filed a joint response with his mother, seeking to allow them both to intervene in the pending wrongful death lawsuit, with the adoptive father representing the child’s interest and the mother as administrator of her daughter’s estate. At a subsequent hearing, defendants’ insurer announced it would pay the $100,000 policy limit to settle the claim, and all parties agreed that amount was fair regardless of the outcome of other pending issues. Defendant also conceded at that hearing he owed $72,000 in formal child support orders, and it was noted he had never paid child support for/ been ordered to pay support for his son with decedent. Plaintiffs argued the child was entitled to receive the full $100,000. Defendant argued he was entitled to prosecute the claim as decedent’s surviving spouse, unless he waived his right, though he conceded $72,000 of the settlement would go to pay off his child support arrears. Trial court granted plaintiff’s motion, replaced decedent’s brother and mother as plaintiffs and removed the original plaintiff. However, the appellate court reversed, indicating a law that passed disallowing spouses who commit abandonment from pursuing wrongful death claims wasn’t in place when decedent died and it wasn’t retroactive. The Tennessee Supreme Court affirmed. This is a sad case, but it illustrates the complexity of wrongful death litigation, particularly when there are multiple people who may have standing to pursue such a claim. It also underscores the importance of seeking consultation with an experienced wrongful death attorney as soon as possible.